Our final MDT (Max Disaster Tour) encompassed another key battle site, Ypres, a town destroyed or, more aptly described, obliterated during World War I. Just a brief overview: In spite of some advocating for peace and disarmament, such as the 1905 Nobel Peace Prize recipient, Czech-Austrian pacifist and novelist Bertha von Suttner (1843-1914), European countries were marching towards war due to… world powers struggling for (a) economic power, (b) gaps between the have and have-nots were expanding, and (c) nationalist feelings were soaring due to some international confrontations. [Yikes, I just reread this. does this sound as familiar to you as it does to me?] These ingredients created a bellicose soup with the opening salvo occurring August 4,1914 when Germany invaded neutral Belgium. And, it’s where we found ourselves preparing to be horrified and goose-pimpled awed as we walked on and around some very hallowed ground. The chilly raw temperature seemed appropriate for a gray November day spent touring another tragic area. Following in friends’ Marcia and Steve’s footsteps, we also made reservations for a guided tour. 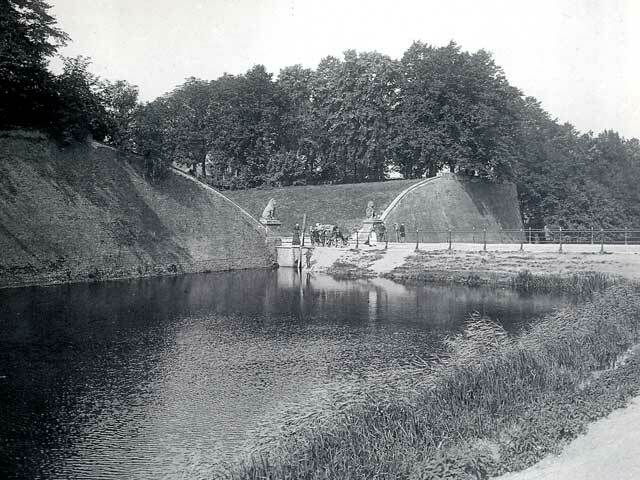 And, boy, did that turn out to be an informative way to hear about the war here in Ypres, formerly a fortified-medieval town where wealthy Belgians escaped the city streets of Brussels. We joined a family of three from Glasgow (the daughter happened to be working for the Scottish government in Amsterdam), two Brits composed of a son-in-law taking his father-in-law to various war sites, and a young Polish woman studying in Amsterdam, all of us being led by Jacques Ryckebosch of Flanders Battlefield Tour. Friendly and extremely knowledgeable, you immediately know you’re in the hands of someone who wants to ensure you, as guests at these sites, understand why those who fought here deserve our respect and honor. And, his manner is such that you, too, feel respected by this kind soul. NOTE: Woven into the narrative below is information obtained from a visit to the Ypres’ Flanders Field Museum the next morning. Over the next four hours Jacques guided us to seven sites. He introduced us to this part of the world with a light-hearted anecdote: The allied soldiers changed Belgian town names to creative nicknames: Ypres became “Wipers”… Etaples became “Eat Apples”. Our wry smiles quickly turned to somber faces as he told us all, and I mean all, of Ypres’ buildings and streets are only 80 to 90 years old. and a muddy, cratered desert after four years of artillery shelling and trench warfare. The Salient (a battlefield created by one army being surrounded on three sides by the opposing troops) is a term you hear when discussing the fighting at Ypres. Similar to WWII the Allied forces needed to keep the Germans from gaining access to key seaports, such as Calais and Dunkirk. This would protect the Allies’ flow of supplies while preventing Germans access to an easy-to-defend new front, one that would include harbors. 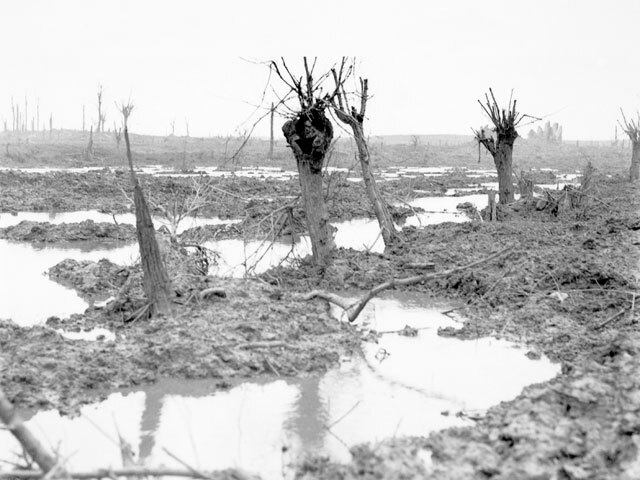 The front lines stalled around Ypres, trenches were dug, and hundreds of thousands would lose their lives here. In some instances enemies were within shouting distances of one another as they survived (or not) fighting from these filthy and disease-ridden ditches. A soldier’s rotation of duty typically entailed four days at the front, which could include a night patrol or a stint in no-man’s land, followed by a tour as a reserve further from the front lines, and, if lucky, some time when they were billeted even further from the front. WWI witnessed the transition from cavalry and imprecise canon shots to tanks and accurate, rapid-fire machine guns, artillery that created shrapnel and carried a much greater range than in prior wars. WWI also led England to create a large infantry force, having previously relied on their navy; and, in the Flanders Museum we saw a vehicle used by England’s Minister of Defense, Lord Kitchener, for recruiting volunteers (aka, canon fodder). The Germans had a slight elevation advantage, even though higher ground might mean just a few feet, and in driving to the various sites Jacques was quick to point out when we were on an incline. 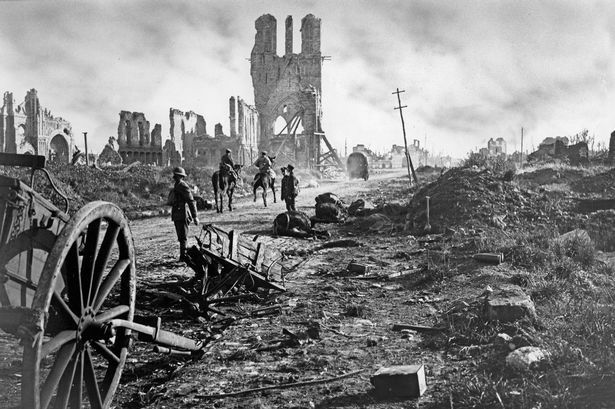 Yet, the allies managed to hold Ypres during the war with the exception of one day, October 7, 2014, when the Germans made it into the town before being expelled. The Germans managed to gather excellent intelligence on the Allies. I don’t remember any of the specific examples quoted by Jacques, but it was uncanny. I’m not sure how it was communicated, but we did see a photo of one of Britain’s ‘signal companies’, which included Radio telegraphy, telephone, and carrier pigeons (!). The Salient has the dubious fame of being where the first poisonous gas was used. This occurred on April 22, 1915 with the French and Algerians being its first victims followed by the Canadians two days later. Use of a chemical weapon broke two Peace Treaties signed 1899 and 1907, causing the Brits to retaliate with the same on September 25, 1915. Ironically, the creator of this chemical weapon was the German chemist Fritz Haber (the one pointing in the photo below), who happened to be Jewish. In 1918 he was awarded the Nobel Peace Prize (?!). His legacy lived on with this same gas later used in the Nazis’ gas chambers. At least one of the Habers realized the Pandora’s box he had opened: On May 2, 1915 Fritz’s wife Clara Immerwahr, a pacifist, committed suicide. Live gas canisters are still being found today along with all the other unexploded ordinances (about 240 tons are collected and safely detonated each and every year). Jacques and a friend of his, an archaeologist, were documenting a gravesite in 2007. The next day Jacques got a call from his friend saying he was at the doctor’s due to a huge, nasty blister appearing on his forearm. Come to find out it his friend’s forearm and hand had come into contact where the gas had seeped from its 100-year-old-container. Jacques would mention some conversations he’s had with this war’s veterans over the years. Several of these recollections, in particular, stood out due to contradicting some general assumptions about this battle, and I paraphrase: One veteran strongly disagreed with the phrase ‘all quiet on the western front’… if anything, it was a continuous hell; and, another hated when he heard people say there were ‘five battles at Ypres’… he felt there was nonstop fighting with battles killing and maiming thousands. 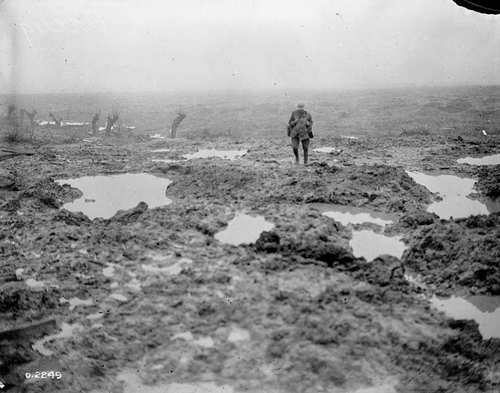 While death and destruction wasn’t limited to a particular fight, one location became synonymous with the wanton wastefulness of human life on the Western Front: “I died in hell, they called it Passchendaele”, a battle fought in 1917 to capture a ridge held by the Germans. The last site we visited was Sanctuary Woods Hill 62. The woods still have some of the original trenches that have been reinforced to ensure they don’t deteriorate over time, and trees have grown up where once the landscape was a quagmire of filthy mud. Jacques told us that most veterans he’s had the honor of guiding here refused to enter the trenches. I can’t really imagine how it must have been standing in one of these trenches with shells exploding and bloodied soldiers being carted into bunkers. Especially knowing you may get an order to ‘go over the top’. On March 3, 1918 the war ended on the Eastern Front, but it wasn’t until eight months later on November 11, 1918 that fighting ceased on the Western Front. 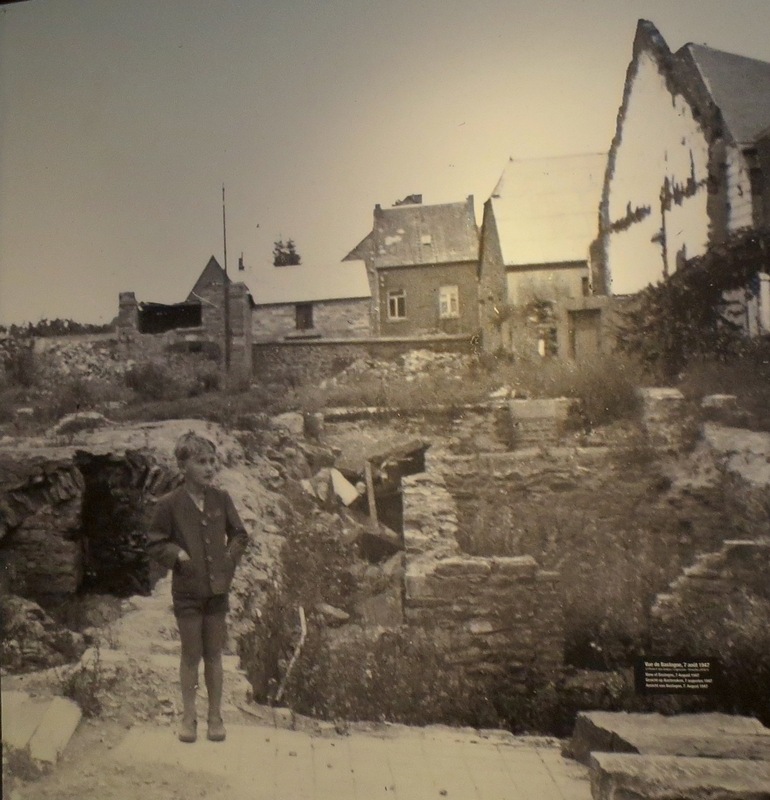 Soon after Winston Churchill suggested Ypres remain in ruins as a reminder of the horror of war; but, the residents, all who had to forsake their homes, proclaimed a decidedly forceful “NO”, and with that Ypres began to rebuild itself using plans drafted by an architect extremely knowledgeable about all the original town’s buildings. It’s no surprise most of the sites we toured had either a cemetery or were right next to one. 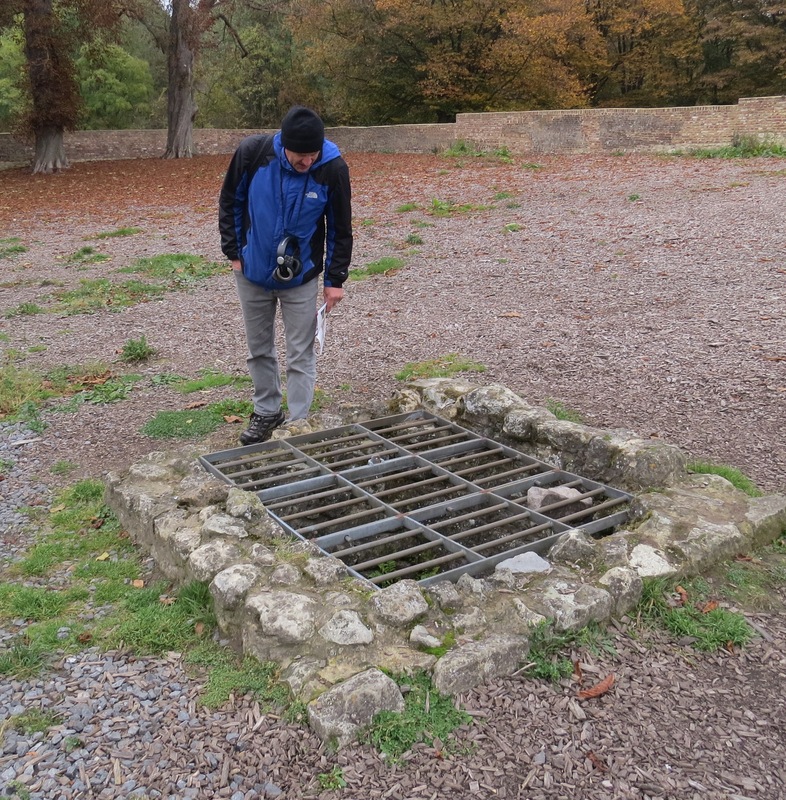 Jacques told us the entire area is one big graveyard with bodies, like unexploded shells, still being unearthed. Nineteen have been discovered this year alone. Fortunately there is an organization, the Commonwealth War Graves Commission (CWGC), headquartered in Maidenhead, England, whose purpose is honoring the soldiers who died during WWI and II. Working in partnership with local groups, they maintain existing cemeteries while ensuring any found body from the war is identified (if possible through a DNA match) before being buried. When a body is unearthed, a funeral is given by the CWGC. To give you an idea of just how much the residents still think of those times and those who died there, the services for these soldiers are packed by locals in spite of never being advertised. The CWGC even cares for the German cemetery, Langemark. Over 40,000 Germans are buried here including 3,000 from a German Student Battalion. These inexperienced soldiers fought against battle-tested and professional British soldiers during the first battle of Ypres, with the Germans’ death called the “massacre of the innocents”. These young soldiers played a part in WWII’s propaganda when Hitler visited the cemetery in 1940 to promote German bravery. Hitler had also fought near here during WWI and a big “what if… we had seen his name on one of the gravestone?” popped into, I’m sure, a lot of our heads. We viewed a 16th-century cross from the plague years, which had been erected near a memorial for the French soldiers killed in the first gas attack. We also saw other memorials such as the famous ‘Brooding Solider’ in honor of the Canadians who held a key piece of ground despite being gassed two days after the French. We drove by the Welsh one, which stands where their soldiers fell versus where they were buried. One of the largest memorials was the Menin Gate with names of 55,000 fallen soldiers carved on its wall. Later a Wall of Remembrance was placed at Tyne Cot cemetery with 35,000 more names listed. At Menin Gate there’s a ceremony that Seppe told us about; so, at 8:00pm Max and I witnessed this moving tribute, one that’s been occurring every day since 1927. It continued during WWII in England then returned to Ypres September 6,1944 the day the Polish forces liberated the town. A bugle is sounded playing two traditional tunes: , first is the “Last Post”, a final salute to the fallen, followed by “Reveille”, the wake-up call and celebration of the living. After a moment of silence, relatives of those whose names are on the walls may lay wreaths. In spite of this WWI guided tour and excellent exhibits at all the war sites we’ve seen these past there days, I’ve only grasped a cursory understanding of the events at Waterloo, Bastogne, and Ypres. Yet, one doesn’t have to see too much to know war is a curse on humanity. After touring the Flanders Field Museum the next day, I believe both of us were ready for much lighter fare. We headed to Ghent for our last Belgium stop of our road trip. But, before we left this area, there’s one more story to be told. This entry was posted in 2016 11 BELGIUM, 2016 Winter Tours, Belgium, COUNTRY, Europe, WINTER TOURS on November 15, 2016 by margaretlynnie. Once again I’m astonished at just how interesting I found another one of Max’s Disaster Tours, and this MDT 2 covering the Battle of Waterloo fell into that bucket of ‘whoa, this is well done!’. From what others had mentioned, we thought we’d be trotting on a section of the battlefield and reading a few displays about what occurred, then we’d be out of there; but the museum captured our interest from the get-go and the expected 60-minute visit turned into a four-hour tour. 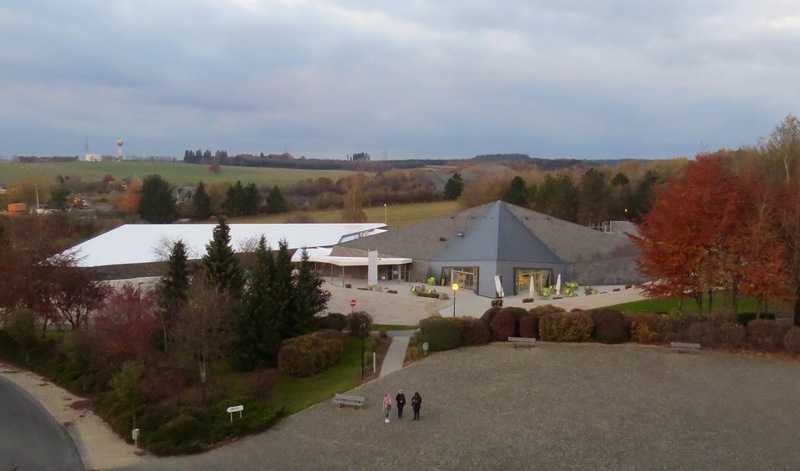 Memorial 1815, the museum site, combines a hilltop panorama (as well as a mural housed in the circular building below) with a modern, underground museum (just visible to the right of the strollers), all excellent tributes to this battle. 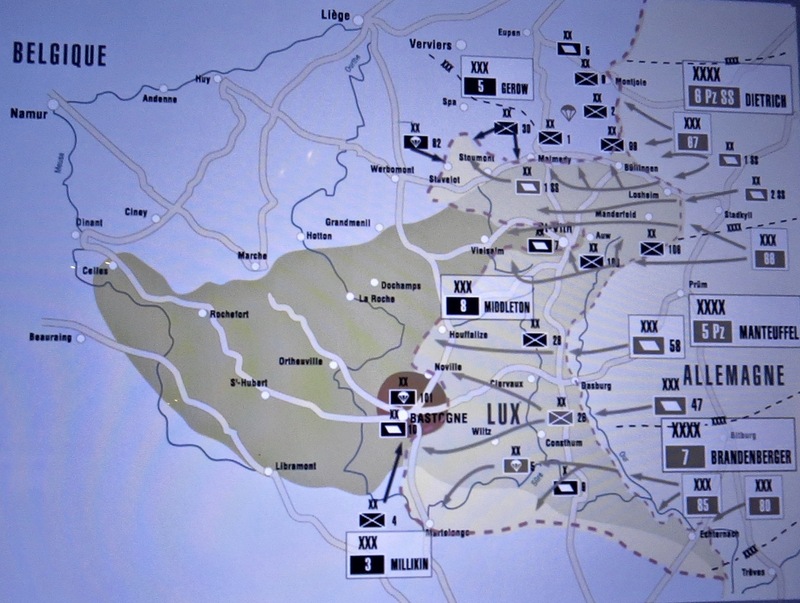 Similar to the one in Bastogne, Memorial 1815 enhances a visitor’s experience by using a mix of visual and audio tools. After sitting through a ten-minute film with 3-D glasses, Max said he got a good idea of just how it might feel to be an infantryman charged by a cavalry. Based on the progression of exhibit experiences, I wouldn’t be too surprised if in the next ten years (or less) I’ll actually be able to take part in a historical event though virtual reality (NOTE: I’d opt out of France’s Reign of Terror and chopped heads, and many more, no doubt). Francis II, the last Emperor of the Holy Roman Empire (1768-1835) – detested any whiff of constitutionalism and waged war against France in 1792-97, and fought in subsequent battles against Napoleon; to his family’s dismay his daughter, Marie-Louise, later became Napoleon’s second wife and mother of Napoleon’s only legitimate son. Maria Carolina, Queen of Naples and Sicily (1752-1814) – pushed out of Naples by Napoleon (whose brother Joseph was then made King of Naples, then later replaced by another Bonaparte sib, Caroline); oh, and Maria Carolina was one of Marie Antoinette’s sisters… need I say more? Frederick William, Prussian Duke of Brunswick and Wolfenbuttel (1781-1815) – was humiliated by Napoleon’s crushing defeat of the Prussian army in 1806 and looked forward to retaliating. John VI, King of Portugal (1767-1826) – his country was invaded by the French and the Spanish during Napoleon’s rule with the royal family escaping to Brazil in 1807; interestingly, Britain under the command of Arthur Wellesley (who becomes THE Duke of Wellington) restored the Portuguese throne in1808. Williem I, Stadholder/Governor of the Netherlands (later King when Austrian Low Lands, now Belgium, was added to the Netherlands) (1772-1843) – his country was invaded by Napoleon (Napoleon’s brother, Louis, ruled the Netherlands 1806-10). Ferdinand VII, King of Spain (1784-1833) – first sought out Napoleon for protection from his father, Charles IV, then was taken prisoner by Napoleon who installed his brother, Joseph Bonaparte, as king of Spain (the latter was so ineffective as King of Naples, big bro Napoleon made him King of Spain instead; go figure). Louis XVIII, King of France (1755-1824) – brother of the beheaded French king and hoping to take back his family’s throne. Quite a club, eh? Would have loved to have been a fly on the wall if all of them ever got together in one room. Actually, I’d rather be someone at the table for I can only imagine the food feast served. With Napoleon invading so many of his neighbors, you wonder who wouldn’t rise up against him? Add the fact he made himself Emperor (so much for abolishing despots) and populated squashed countries’ thrones with his siblings, one would have to be a dummkopf (aka, blockhead) not to realize this was poking a hornet’s next with an extremely short stick. Scratch that: change ‘poking’ to ‘whacking the hell out of’. Actually, Napoleon was just continuing the tradition begun with the first (1792-97) of seven Coalition Wars when monarchies tried to stifle the French Revolution. During that time Napoleon was proving his military genius as he ascended from soldier to general to commander of France’s army. Six more coalition wars were fought with the seventh in 1815, ending with the vanquishing of Napoleon at Waterloo. 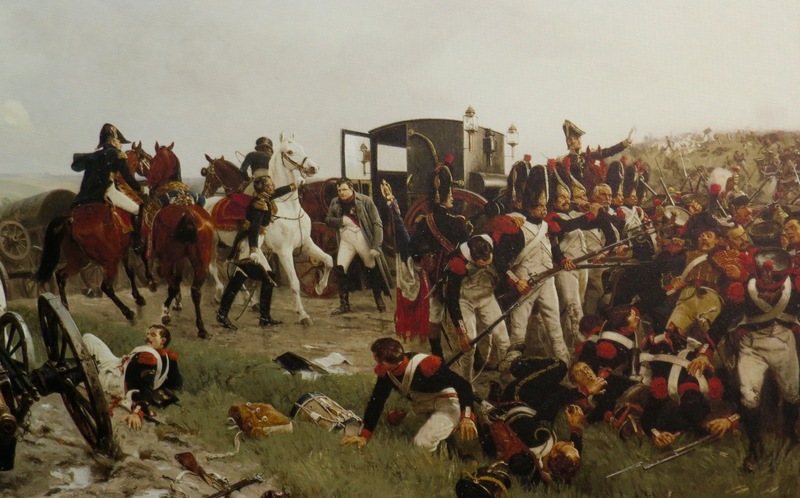 Oddly the museum used historical paintings to cover earlier battles fought by Napoleon. It was fascinating from an artistic perspective but not too clear regarding the chronology leading up to this auspicious battle. However, one that caught my interest depicted a ball in Brussels given by the Duchess of Richmond, the Commander of the Reserve Troops’ wife, on June 15, just three days before the fight. She invited top dignitaries, including Wellington and his commanders. Although the French had already begun preparations for battle, the Duke ordered his officers to attend in order to stave off any panic their absence might have caused. When we got to the museum’s area covering the actual battle, a timeline adorned each side of a long hallway while soldiers marched towards the battle. Here the information was so detailed you could press a button on your audio guide to hear about soldiers’ belts and other minutia. Must admit I skipped a lot of those for my eyeballs were starting to spin in my head. as were those led by Willem I, King of the Netherlands (mentioned earlier). Without the Prussian and Netherland troops, the French would have won the Battle. FYI: I’ve seen so many conflicting numbers of troops per army I won’t even begin to try to figure it out. Suffice it to say, the French were outnumbered. and, due to the heroics and victory at the Battle of Waterloo, veterans received free beer for a long time at any British pub. With all of the information provided several categories seemed to be missing: the personal lives of the main characters; and, the period of Napoleon escaping Elba only to return to lead the French back into war. But, we were definitely ready for a break and some fresh air, so we headed to a key battle site: Hougoumont. A short shuttle bus landed us at the site where at 11:30 a.m. on the morning of June 18, 2015 the first shots were fired. This walled farmhouse stood equidistant between the two lines of engagement, and, for that reason Wellington positioned his troops there. Supposedly, when asked what his orders would be if he died in battle, he said “hold Hougoumont.” And, they did, but not without a lot of fighting as the French tried over and over to win this piece of land. At one point during the fight, the French caused the buildings to burn. 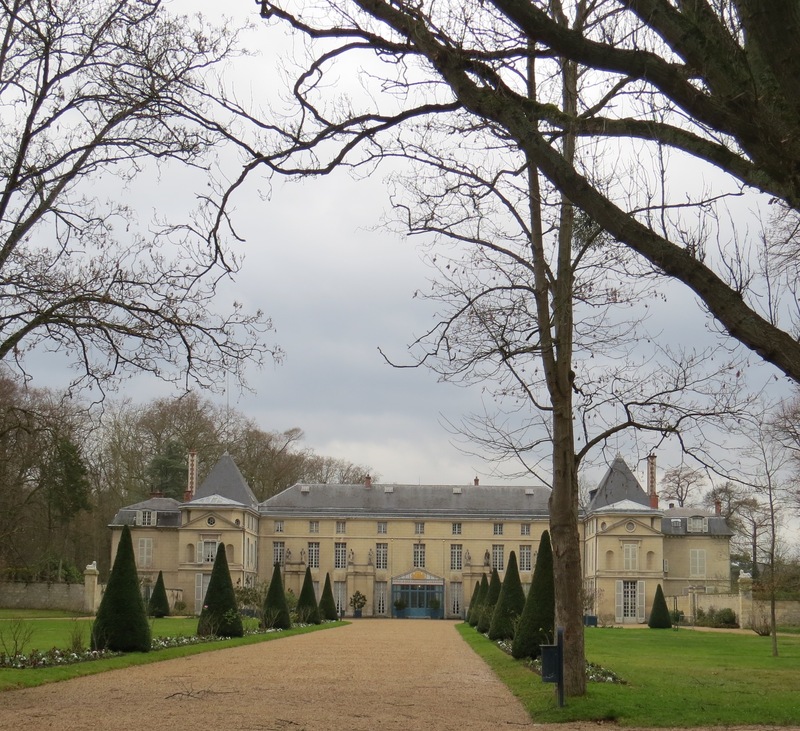 Later, the French managed to push in the gate and storm the grounds. Several soldiers then rushed to the wall and, in a heroic moment–one of many, i’m sure–closing the gate, thus keeping their enemy out. This action is credited with ensuring Hougoumont remained in the Coalition’s possession. Remarkably, a chapel remained intact after this horrendous fighting. What was deemed a miracle was a 16th-century Flemish crucifix in the chapel actually starting burning but mysteriously stopped at the feet. Some writers whose names I recognized visited this site: Lady Shelley, friend and confidante of Wellington, travelled there in September 1815; the following year Lord Byron scrawled his name on the wall (not there now); and Victor Hugo must have been there for he included the manor’s well in Les Miserables. Since then the crucifix has gone through a theft of a leg and several restorations. Both Max and I found Hougoumont particularly interesting, and moving when you consider the bravery of the few who held this vital site. Where once a woods stood three trees remain, left by the owner, Chevalier de Louville, after the battle due to the heavy damage incurred. Not only humans but nature, too, is befouled by war. But, time to catch the shuttle back where we both walked up the numerous steps to look across the battlefield; however, I with my shuddering fear of heights climbed up step by step while talking to myself to tamp down my nervousness. Once atop I quickly scooted my backside along the base of the monument only to rush back down the numerous steps, talking to myself with catch-and-release death grips on the metal hand railings. Do you see the dot in the middle of the picture way down below? That’s moi feeling oh so much better. Meanwhile Max took in the view and snapped a diagram of the lines of engagement. Lastly we drove to the Waterloo Inn where Wellington stayed during the nights of the 17th and 18th. Here we saw where he slept and wrote his report of the Battle. More interesting, we saw some of his handwritten field notes. And, with that our MDT 2 was over, and I was ready to head home to our Belgian Family. 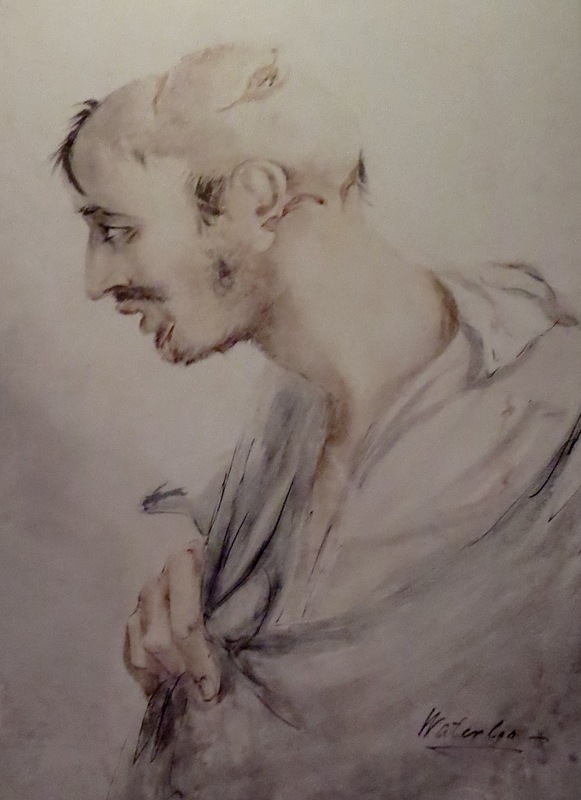 Yet, like I mentioned at the beginning, Museum 1815 and Hougoumont are definitely worth exploring if interested in the Battle of Waterloo. This entry was posted in 2016 11 BELGIUM, 2016 Winter Tours, Belgium, COUNTRY, Europe, WINTER TOURS on November 12, 2016 by margaretlynnie. A wonderful surprise came by email in October. Some friends from Maine were heading to our neck of the world and would be visiting Amsterdam beginning October 28. Not only were we going to be in the Netherlands but also in Amsterdam for an appointment on that very day. Arranging to meet at a cafe in the Rijksmuseum we managed to find one another quickly and hugs abound. 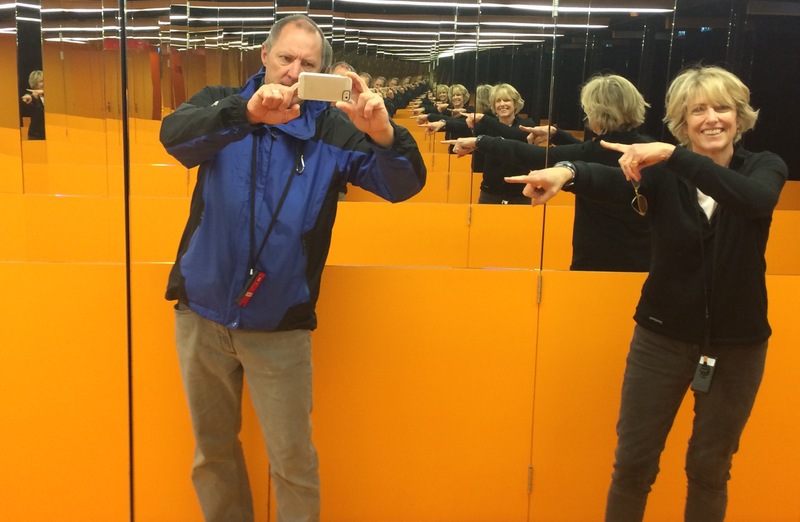 Marcia and Steve are inveterate travelers and generally rent apartments while immersing themselves in the culture and everyday-doings of the local inhabitants. We’ve corresponded with them on several trips, exchanging information on various destinations. Since they had just hopped off the plane and checked into their airbnb accommodations mid-morning, we all decided to stretch our legs while locating a place for lunch. Which we did find while walking and talking and dodging the ubiquitous cyclists. After lunch we strolled back towards the train station, taking them through the Beguinhof, the oasis we had visited the prior weekend. During our walk Marcia exclaimed that some bags hanging outside a shop were designed by a company from Massachusetts, one with which she was very familiar considering she owned at least three of their designs. And, a backdrop providing a perfect opportunity for a photo-snap. Since they’d basically been awake for 24 hours we all decided to head to our respective berths, and we parted company as they meandered their way back to their apartment and we, to the train station and Hoorn. Hoping our paths would cross again during their visit, we invited them to Hoorn; yet, with only two more days in Amsterdam (and plenty to see there) before visiting Belgium sites then ending in a favorite haunt of theirs (Paris), we at least knew we could communicate in the same time zone via email. We bade them good-bye but not before Max took a photo documenting this reunion of Mainers. Seeing friends from home when we’re on JUANONA is such a gift to us. With all of their traveling we hope to see Marcia and Steve again in the not-too-distant future. It’s hard to say good-bye when we just said hello. The Belgians are here! The Belgians are here! We obviously didn’t cry out loud with this news but we eagerly awaited a visit from our Belgian Family. In May they had come up for a visit when our nephew Rudy was aboard, so they were familiar with Hoorn. This family of five are quite easy to have aboard being content to while away the days with talking, laughing and just catching up on everyone’s news. Max had made a delicious chili for dinner. Actually he had made two batches, the first being too spicy due to following the recipe exactly, which called for a quarter-cup (!) of chili powder. Even when cutting the hot spices more than half, it still was on the verge of scalding one’s taste buds. But, maybe the chili gave us the impetus to play charades, a first on JUANONA. With an empty aft berth we had asked if one of the kids would like to sleep aboard. Frieke opted to try it, and she adapted to our slow-morning tempo of waking, making coffee, then heading back to the berth for online newspaper perusing (a behavior our friends Ellen and Carter know well from when we’ve stayed with them). but, this time we knew our good-byes would quickly be followed by hellos due to our heading to Belgium the very next day. As I mentioned above, we took a road trip starting Tuesday. Knowing we needed to complete another step in our application for temporary residency, we decided to combine it with, what my sister has aptly termed, “Max’s Disaster Tours” (MDTs). 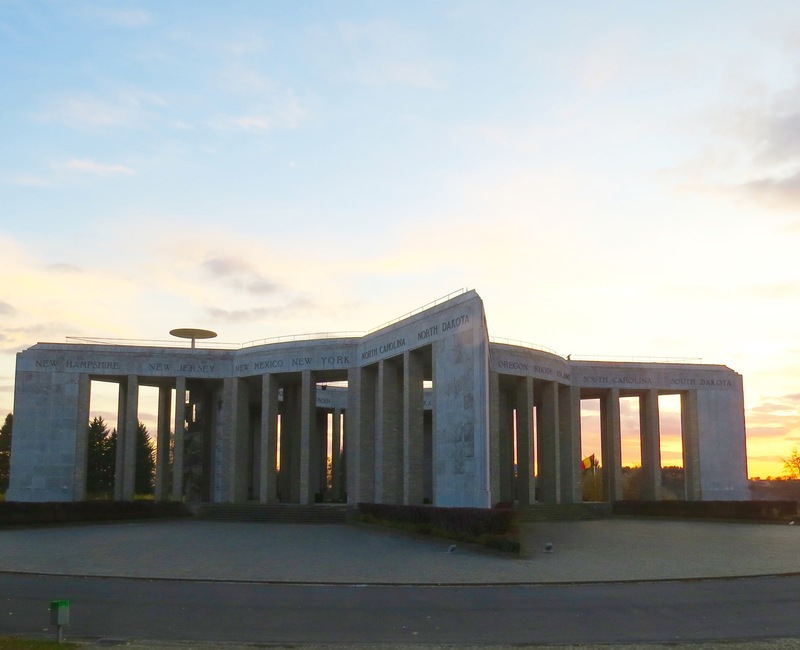 This tour would entail visiting three battle sites, beginning with Bastogne, a key location in WWII’s Battle of the Bulge, followed by the 1815 Battle of Waterloo, and ending with Ypres (Ieper), a site of WWI trench warfare and decimation. Fortunately, we offset the sobering realities of horrific wars with the comfort of being with our Belgian Family in the town of Bolderberg, situated between Bastogne to the east and Waterloo and Ypres to the west. The next morning five of us bundled into Ta and Koen’s car to head to the Bastogne War Museum, opened in March of 2014. This modern museum provided a full afternoon of immersion into one of the bloodiest and most desperate battles during WWII. 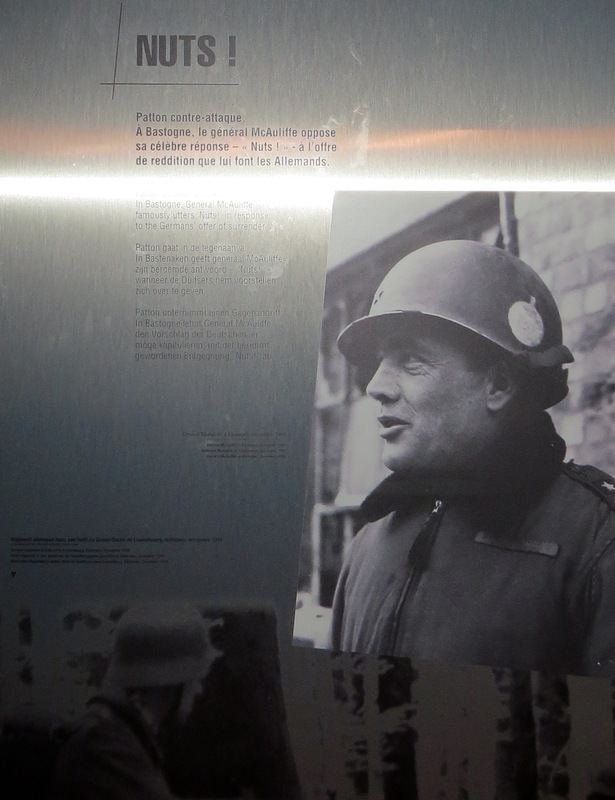 To begin your tour you’re greeted by four people who actually lived and/or fought in Bastogne: a young boy of 13, a young woman in her early 20s, an American soldier, and a German soldier. 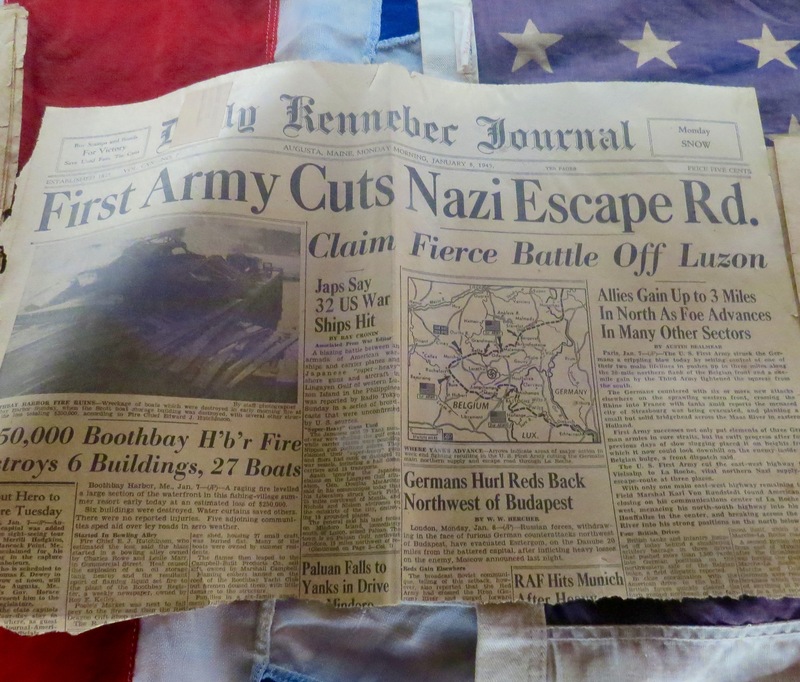 Each subsequent event was narrated by one of the four, providing a real-life glimpse into the brutality and tragedy associated with this battle. A multi-media experience awaited us with videos, narrations, photographs and text capturing our attention as we slowly toured this museum with our audio guides. Bastogne is located in the Ardennes forest, and on December 16, 1944 this area on the western front became the site of Germany’s last major offensive. The Germans wanted to push the American front line to northwestern Belgium and, in so doing, created a bulge, hence the name “Battle of the Bulge” (aka “Battle of the Ardennes” and “Operation Mist”). Fortunately, a change in the weather allowing air reinforcements and General Patton’s arrival from the south meant the 101st Airborne would hold onto Bastogne. By January 1945 the Americans had regained all of the ground they had previously lost in the fight. 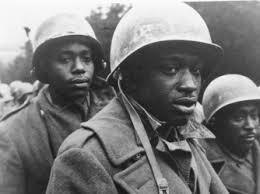 With the pressure of waning supplies and manpower, this battle is actually the site of USA’s first, desegregated fighting troops as all soldiers were used to fight the Germans. 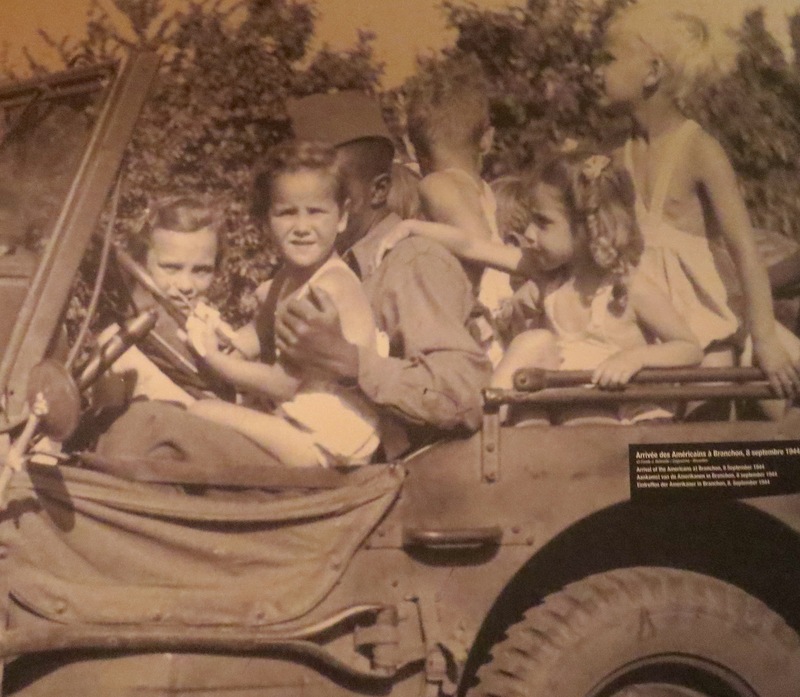 Shamefully, it still took four more years for the military to formally end segregation. Even the willingness to sacrifice one’s life for one’s county didn’t crack the ugliness of America’s racism. Bastogne was only one of the many towns decimated by the fighting in this area. Residents of other Ardennes towns (Malady, Houffalize, La Roche-en-Ardenne and Saint Vith) were also caught in the crossfire of the savage and destructive warfare. The Battle of the Bulge was instrumental in crippling Germany’s ability to continue the war. Hitler’s orders were to push through the Allies’ line in just a few days in order to reach the deep-water port of Antwerp. To do so required moving many of Germany’s soldiers and equipment from the eastern to the western front (the weakened eastern front made it easier for the Soviets to take Berlin in April 1945). Several German commanders tried to argue against such an unreasonable plan but to no avail. Subsequently, they never really recovered from the losses of troops and gear while the Americans were able to draw on more resources. We actually know a veteran of this battle, Dr. Philip Sumner. I believe he has visited this area where he fought; and, it would be interesting to hear what he would say if he returned to the Ardennes. Leaving this museum you take with you the horrors of war but also the unimaginable bravery and sacrifices individuals made, all in the hopes of making the world a safer place. Although many died, we discovered at the end of our tour our four narrators survived. Exiting the museum we first visited the impressive memorial, shaped in a star with the names of all 50 of the USA states carved on its pillars and walls. Climbing a spiral staircase to the top provides a 360º panoramic view. 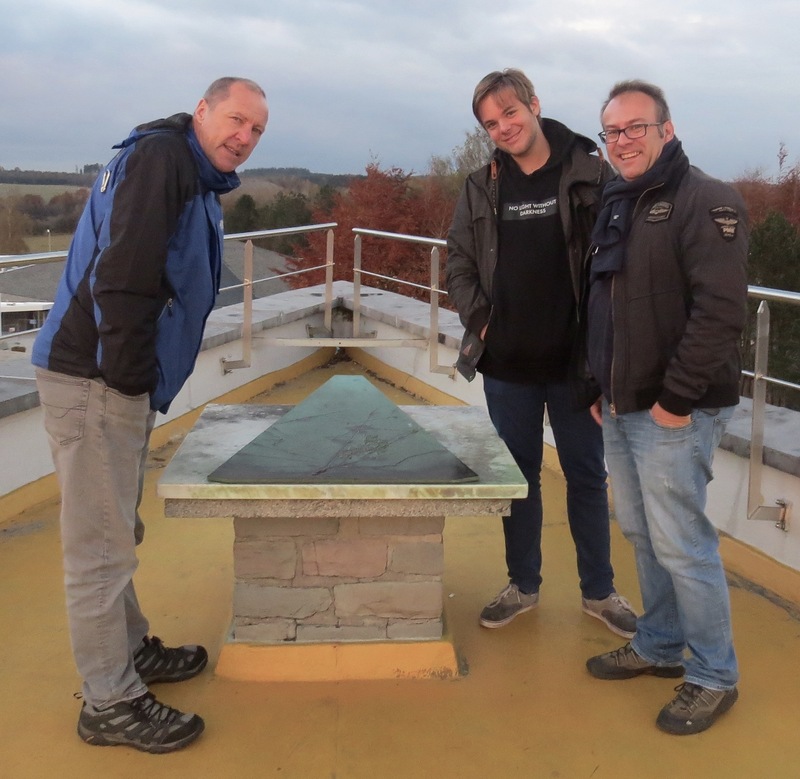 At several points of the star, maps indicate sites where the Battle of the Bulge took place over seventy years ago. 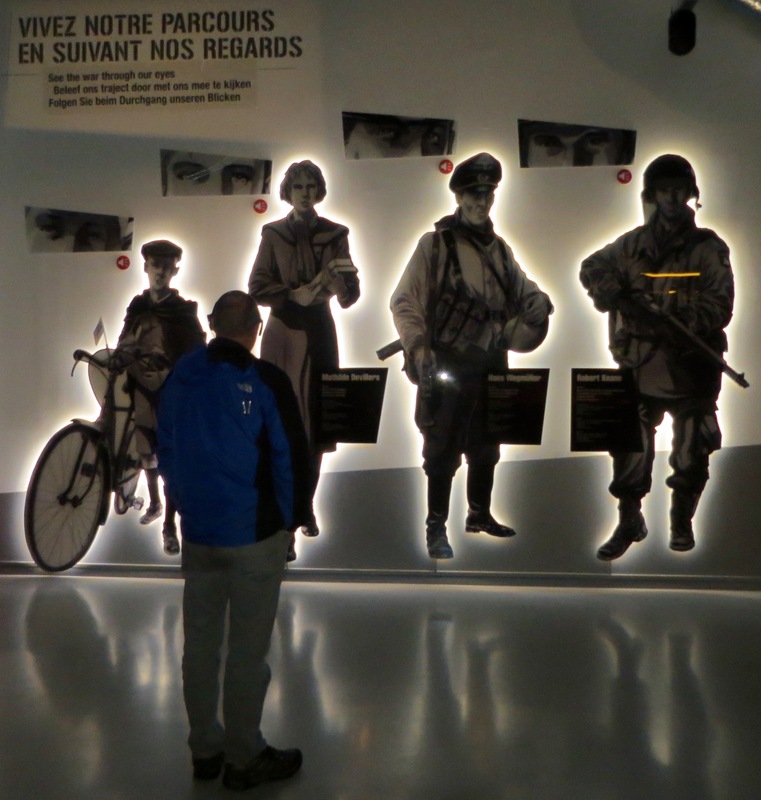 was on temporary exhibit at the Bastogne War Museum. 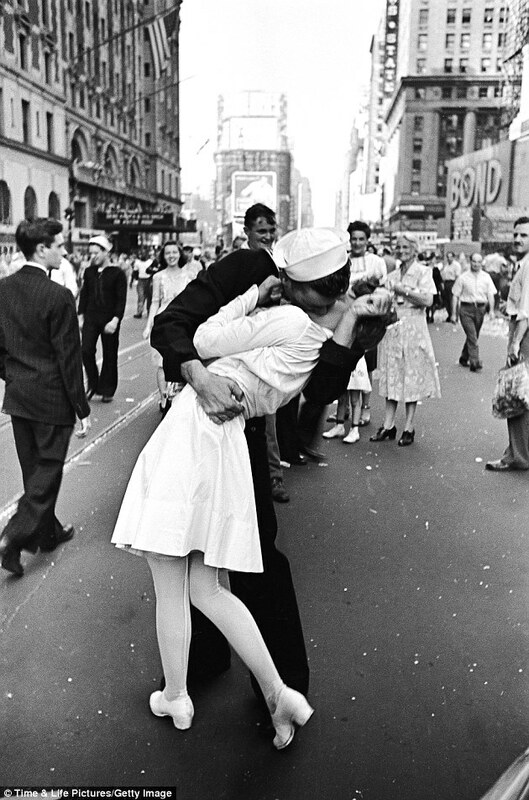 This statue illustrates perfectly the exuberance we all must feel when a war ends. If only it had been the last one ever fought. This entry was posted in 2016 10 NETHERLANDS, 2016 11 BELGIUM, 2016 Winter Tours, COUNTRY, Europe, Netherlands on November 7, 2016 by margaretlynnie.